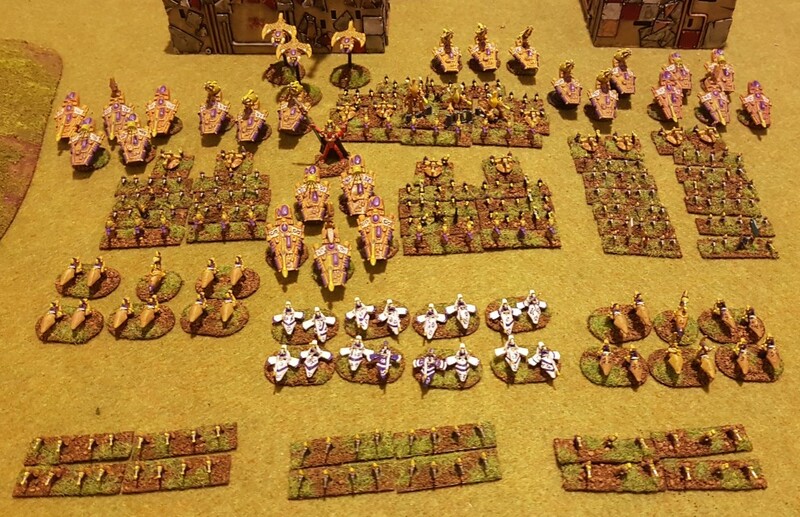 Eldar civil war battle report, enjoy! WOWZA !!!!!! 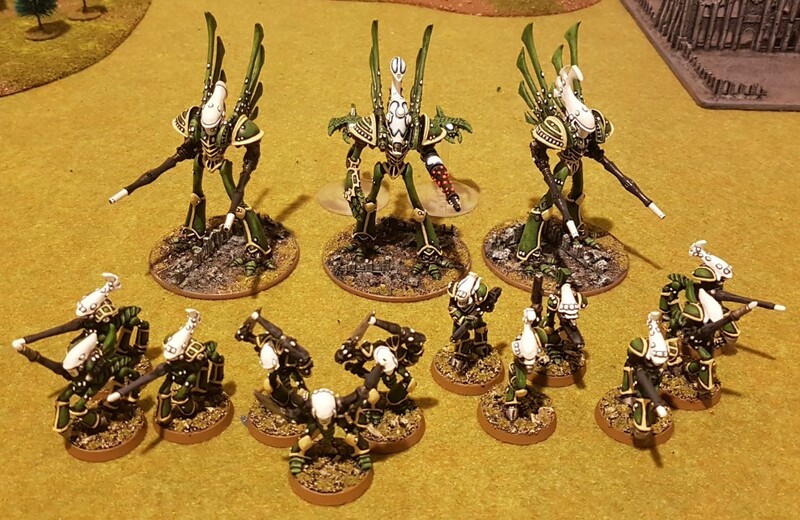 An Eldar [un]civil war !!!! Looks like Infantry, Tanks, bikes, FA & CAS vs. Titans & Knights ! My Money was on the Eldar Combined Arms force. But frakk'n titans & knights can be pretty powerful ! Beautifully painted for 6mm minis. Too bad the Eldar titans will be dwarfed by the new AT 8mm Imperial titans. Awesome looking armies and a great battle. Too bad the Eldar titans will be dwarfed by the new AT 8mm Imperial titans. All the original Eldar and Ork Titans/Gargants will dwarfed by the new 8mm titans. Unless GW brings out 8mm versions of those ? And yes, they would probably be crazy expensive too !